Anyone ever owned one of these or know much about them? 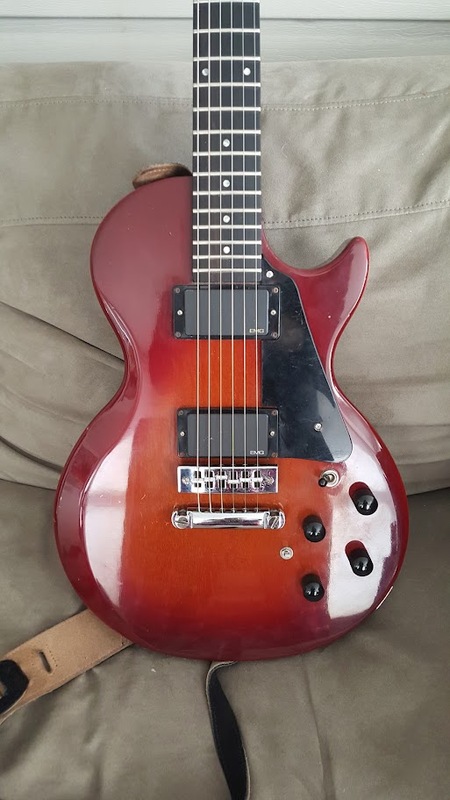 I never thought I'd own a Les Paul, but this, I couldn't resist. These were budget models from the late 70s and early 80s, but you'd never know from the quality. 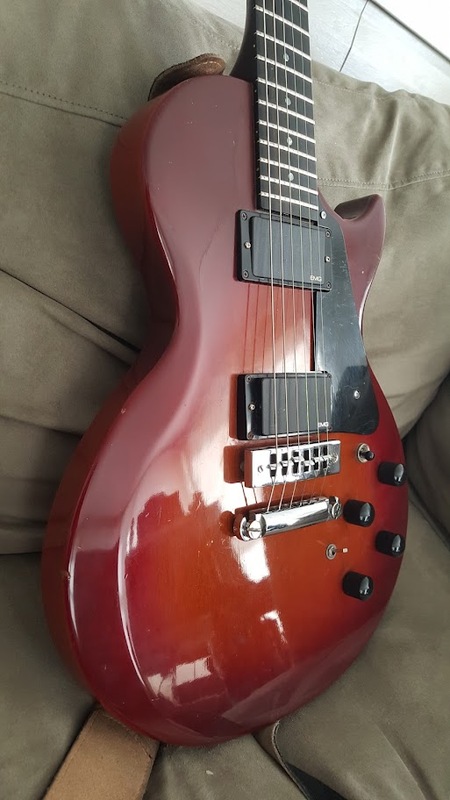 Why can't Gibson's budget models still be this good? It'll become a regular player for sure. I even like the EMGs, though they are a lot darker than my other guitars. 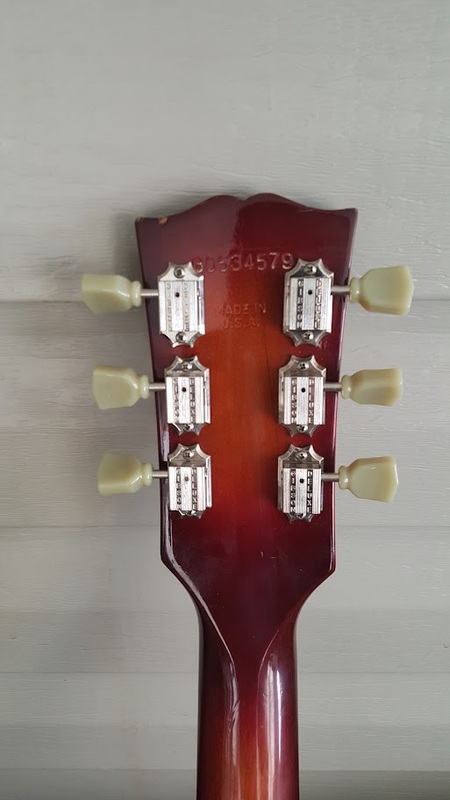 Doing some research, this one is apparently a bit of an odd bird---the fact that it's mahogany and not walnut means it's a Deluxe model, according to a 1980 catalog I found online. But, those had gold hardware, and the serial number dates it to 1984. A year in which there were no catalogs or advertisements because Norlin-era Gibson was coming to an end. Also, the mid-80s models were supposed to be in the "Firebrand" series, and this isn't. I've not found a single image of another The Paul in this color, nor one with a harmonica bridge. I'm thinking this is probably a mutt that was built using leftover parts. Cool. Dammit Google is it that hard to understand that people want to embed images and not just "share" them? I'll fix this later. Never seen a 'the Paul' but one of the guys in Mogwai plays a 'the SG'. Probably one of the Norlin abominations, but if it suites your fancy GO FOR IT! 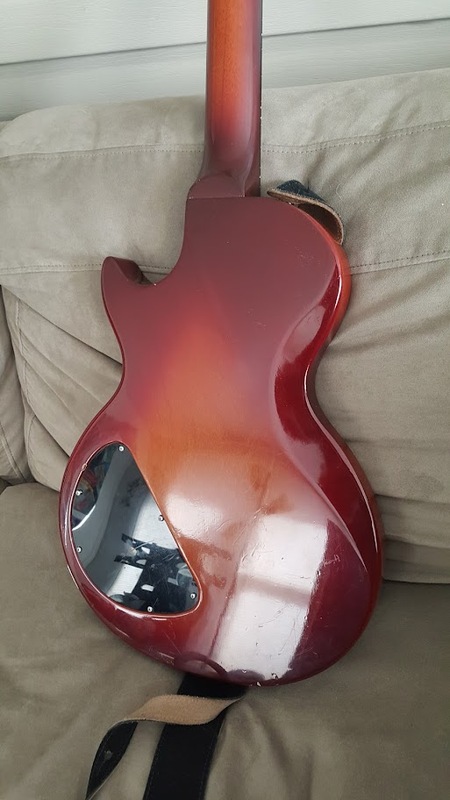 Never played one but for about 15 years I've been half-heartedly after the truss rod cover from one. 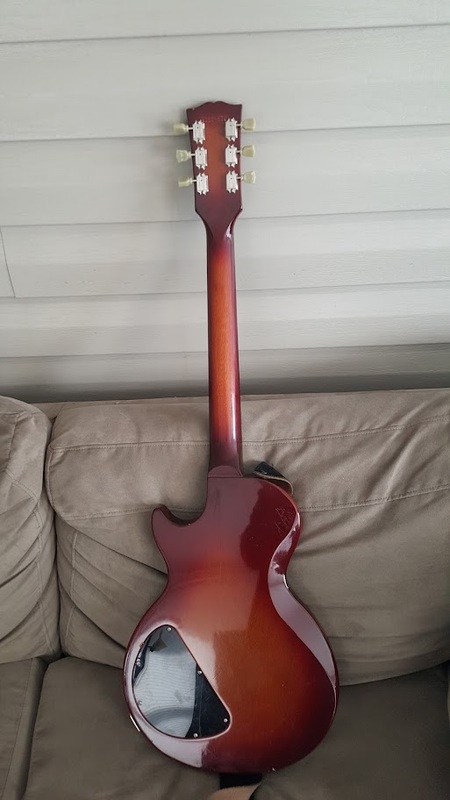 It's got some wear and tear, definitely a player's guitar, not a collector, but that gives it character IMO. 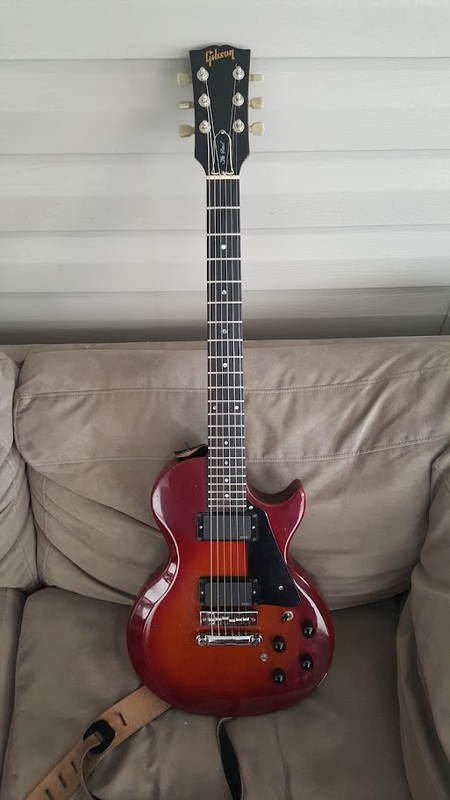 Why do Norlin-era Gibsons get such a bad rap? Poor QC? I'd take this over a modern LP Studio any day.